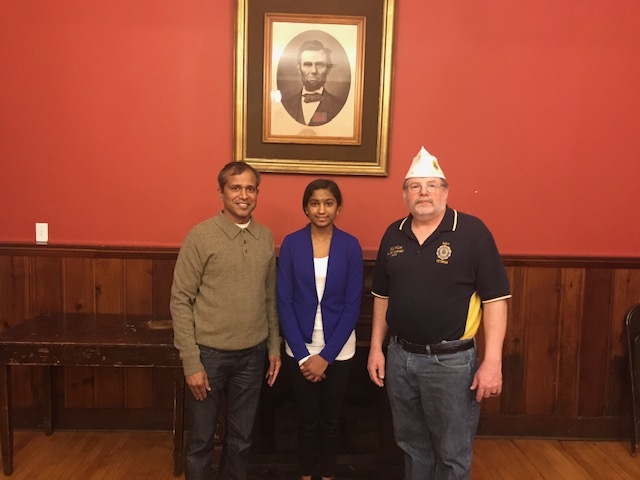 ORATORICAL FINALIST — Bayonne High School sophomore, Tashu Gupta is pictured with her father and Mike Wilson, Commander of American Legion Post 19. Tashu represented Bayonne in the regional finals of the Legion’s Oratorical Competition. She did an amazing job. She memorized a nine minute speech! Thanks to Tashu and her teacher, Mrs. Fitzhenry, for their efforts and the Legion for providing a great opportunity for our students.